It’s no longer safe for Harry at Hogwarts, so he and his best friends, Ron and Hermione, are on the run. Professor Dumbledore has given them clues about what they need to do to defeat the dark wizard, Lord Voldemort, once and for all, but it’s up to them to figure out what these hints and suggestions really mean. 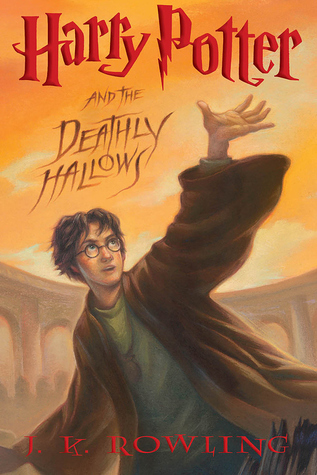 The ultimate battle between good and evil that closes out this final chapter of the epic series takes place where Harry’s Wizarding life began: at Hogwarts. The satisfying conclusion offers shocking last-minute twists, incredible acts of courage, powerful new forms of magic, and the resolution of many mysteries. I still can’t believe that it took me this long to finally read this final book. I really enjoyed it, just the same, though. One thing. I think that the first 200 pages of this book were veryyyyy slow. It didn’t remind me of the fast pace of the first part of this series. I understand that it was probably because Harry didn’t know what to do, so Rowling wanted to capture that with her writing style, but it was a little hard to get through. Not much happened at the beginning, but it was great overall. The last half redeemed itself. I don’t want to talk too much about this, as it is the 7th book, but the Battle of Hogwarts. Woah. It was so intricate and well thought out. Voldemort was ready to be the winner that he believed what Narcissa told him at the end. 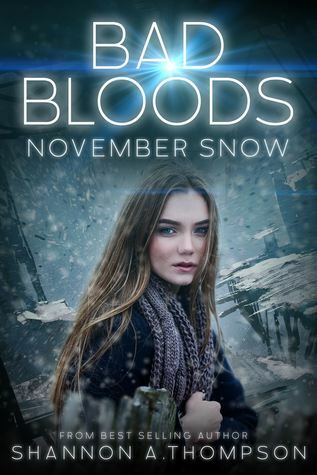 This is the second book in the Bad Bloods series, and we’re immediately pulled back into the world of future America, politics, and bad bloods. Serena and Daniel are separated throughout this novel because Serena is needed for the new presidency. Serena has one wish, and it has to be seen through in order for the two flocks to live in harmony. What she doesn’t know, is how much pain it will cause to the others. I don’t want to say too much about this book, because it is so closely related to the first, and neither are very long. It shouldn’t take too long to read both! I really loved this world of Vendona. It’s future United States, and it was taking place during an election *kind of similarly to what has happened in the recent past with a few not-so-great candidates…* Anyway, one candidate will fight for the bad bloods, one will have them all killed. Serena goes to help to try and make sure that no more bad bloods will die. While she’s helping out, she learns crazy new information that helps both her and the rest of both of her flocks. There were quite a few parts in this book that should have been elaborated on more. I was confused when Jane was talking about the directions being changed, and figured there would be more said about it, but then there wasn’t. I was a little disappointed with that. I really enjoyed the vulnerability, friendships, and love that happen throughout this book. I love when the stereotype of men not being able to cry is broken. Anyone can cry; people are human. I really liked the vulnerable side you saw to some characters. Overall, I enjoyed this duology. I still have to say that the Timely Death Trilogy has been my favorite of Shannon’s books I’ve read, though. Please check out something from her, she’s an amazing author! 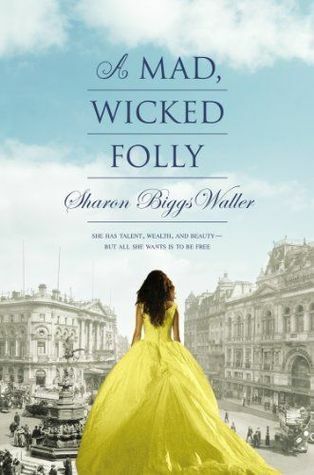 Thanks again, Shannon, for allowing me to read this book and for being one of the first authors to contact me!